With a 3 Year Honda Australia Engine Warranty. 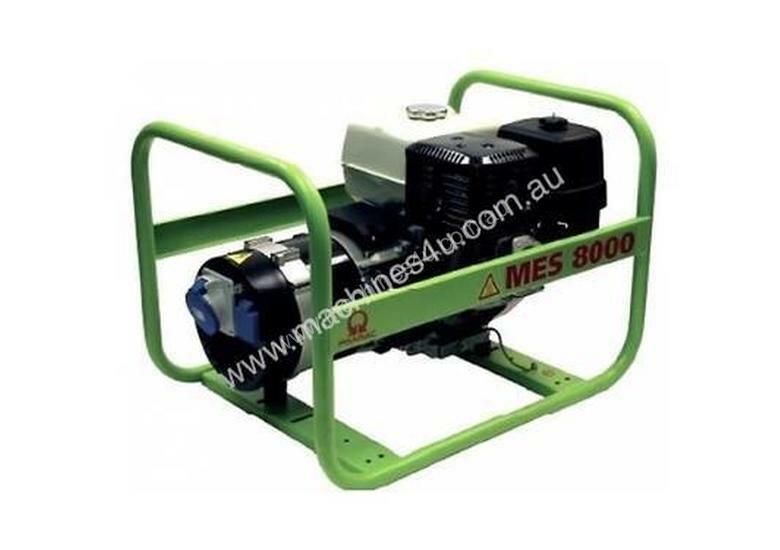 Simple professional generator designed for no frills tasks on the work or farm site. 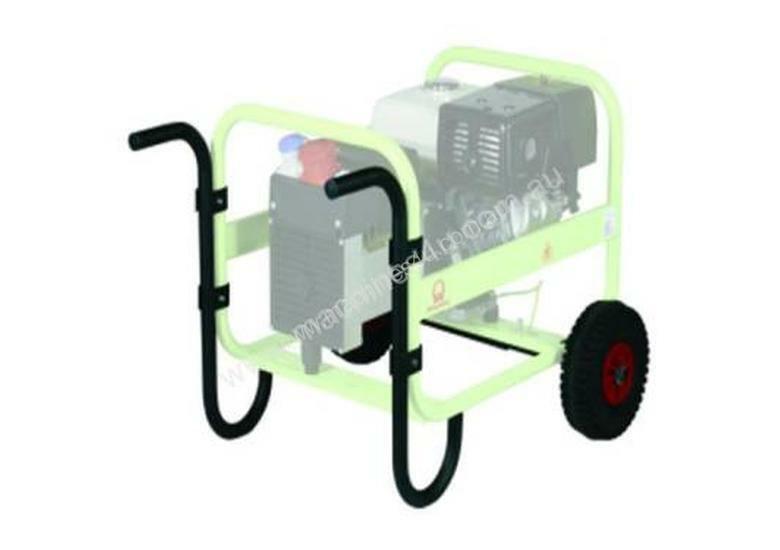 Pramac has released this generator to ensure a high performance level at attractive price.Genuine Honda GX390 engine backed by national service agent support. Powerful and strong generator; easy to maintain, it will be soon essential to all your activities. Tough roll-over frame, 1 x 15amp outlet and 1 x 32amp outlet. Wheel & handle kit can be added as an optional accessory and the Pramac Manual Transfer switch can be included for backup to your mains switchboard. 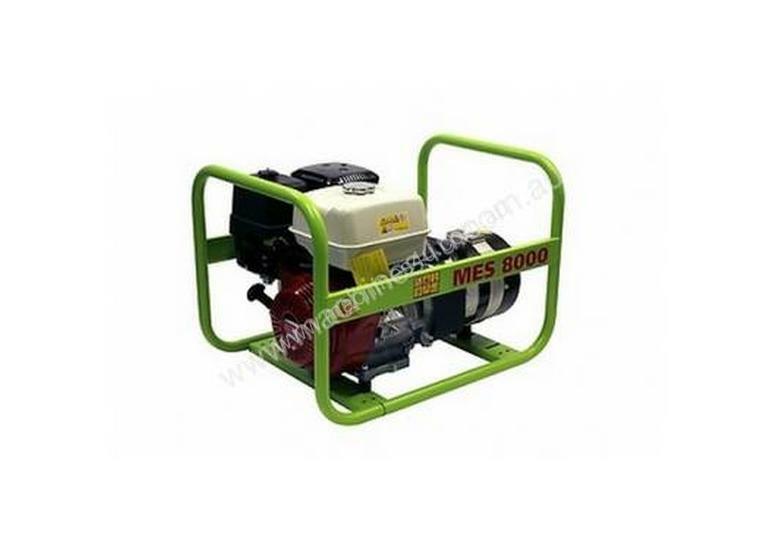 RRP: $2,041Frequency50 HzVoltage230 VContinuous Output6.0kVAOutput Watts6400 watts max, 5500 watts continuousEngineHonda, GX390 engineDisplacement389 cm3Starting MethodRecoilFuel Tank Capacity6.1 LitresCont. Working Time2.85 hours 75% loadProduct Dimensions (mm) LxWxH750x543x520Net Weight (kg)72.0 KgOil Capacity1.1 LitresEngine Speed3000rpmFuelPetrolFuel Consumption75% PRP: 2.14 l/h ; 100% PRP: 2.87 l/hRated Power Factor0.9Outlets1 x 15A 1ph & 1 x 32A CEE Form 1phEngine Warranty3 Year Honda Australia Engine WarrantyNOTEThis is a portable air-cooled petrol generator designed for short term/standby applications. For prime/continuous power, a stationary water-cooled diesel generator is recommended.